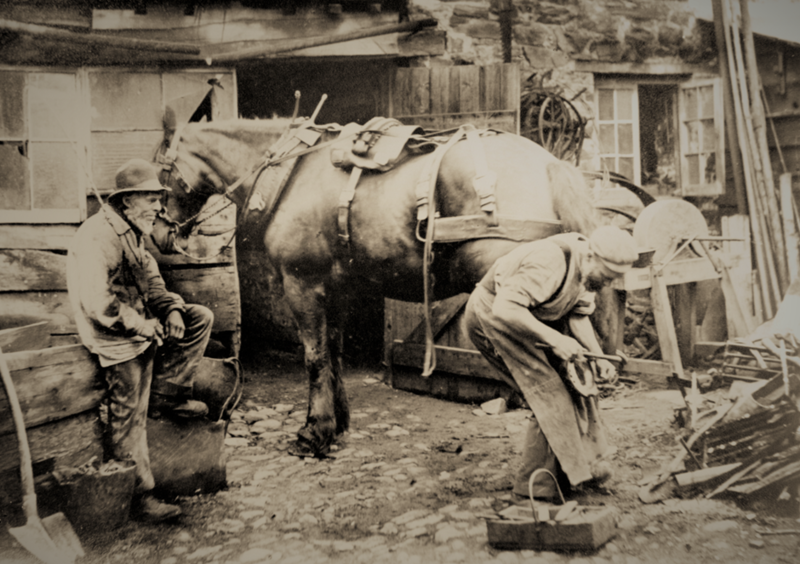 At the outbreak of World War 1 in 1914, it was estimated that over 3 million horses were at work in Britain, around half employed on the land and over a million used commercially, pulling goods vehicles and providing transport. The war however, was to become heavily dependent on horses, supplying the cavalry and moving the army, its supplies, equipment and ammunition across Europe. They were also to become important in transporting the wounded to hospital. From the outset there was an urgent demand for heavy horses, pack-horses and mules. The Army Remount Department had the responsibility of acquiring and training horses and mules during the war. A national census identifying available horses was conducted and the British Army requisitioned around 120,000 horses from the civilian population in the first weeks of the war alone. Owners who were unable to prove essential use for transport or agriculture had to surrender them under the Impressment Act. Sometime in 1914, a Remount Army Officer arrived at Stowford Paper Mill in Ivybridge with the sole intention of requisitioning horses for the war effort. A young 13-year-old lad named Mark Damerell, who worked at the mill, was given instruction to hide the prize stallion in some out-buildings at the perimeter of the mill, close to the viaduct. The other horses were examined and the best ones were selected for acquisition. With the low prices paid for each animal, owners generally felt that the payment was insufficient to buy another suitable horse. The Impressment Act created considerable distress and irritation, with many people turning to their local newspapers to vent frustration. Horse owners felt the rules were unfair with some having all their horses taken, even though they were being used on the land or in manufacturing. Others complained of a lack of fairness with some people having no horses requisitioned, especially if they had Government contracts. The Remount Department brought clarity to the process by stating that any horse purchased had to meet certain criteria. Initially, they needed to be over three years old, healthy and the right size for riding, pulling guns or general transport. 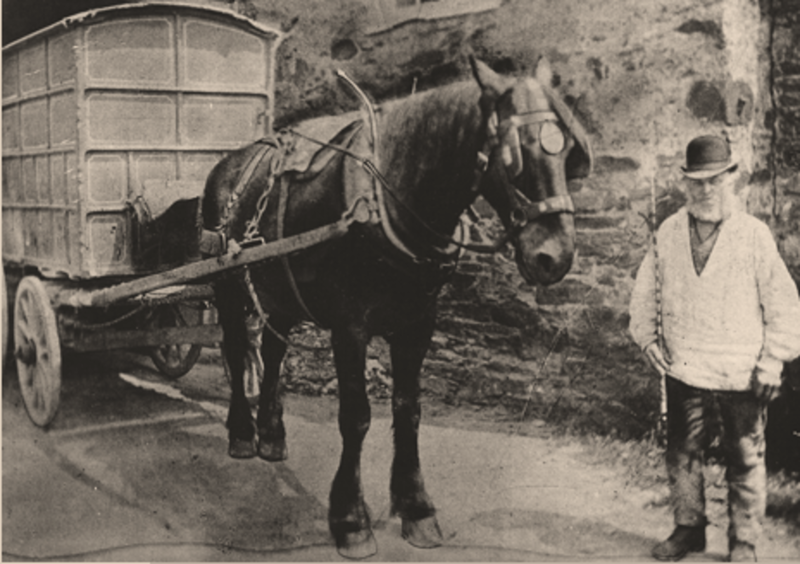 It was also agreed that heavy horses used for transporting coal, foodstuff and other necessities would be exempt where possible. Locally in 1914 it was also agreed that horses would not be taken before the summer harvest had been gathered. It has been documented that a horse required ten times as much food as the average soldier. With little pasture at the Front, large quantities of fodder had to shipped to feed the horses and mules but often rationing became necessary. To ensure each horse obtained their fair share, they were fed from a nose bag rather than directly from the ground. 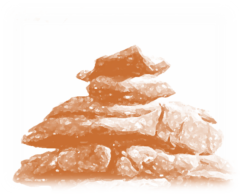 This helped to reduce waste and prevent the horses from eating anything which could make them ill. The number of horses lost during the War was unimaginable and in the worst battles such as the Somme and Passchendaele the losses mirrored that of soldiers. It has been documented that of the one million horses sent to the Western Front by Britain, over 900,000 did not return home. War Horse, the Hollywood Blockbuster, was based on the novel written by Devon-based author Michael Murpurgo. The film begins with young Albert taming and training his horse Joey and the ensuing friendship. This initial filming took place on Dartmoor around Meavy and Sheepstor. At the turn of the century, Eber Trant worked from his blacksmith’s shop to the rear of what is today “The Smithy” public house in Fore Street. It was accessed via an archway which remains. In the photograph below Grandpa Kingsland looks on as one of the paper mill’s horses receives a new shoe. 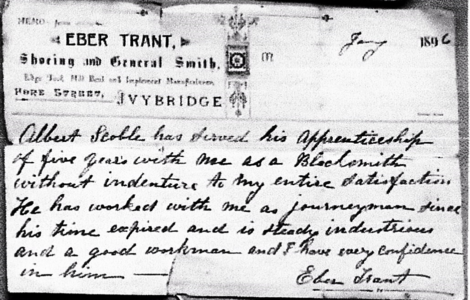 An Ivybridge man named Albert Scoble served his apprenticeship with Eber Trant and later joined the Royal Navy as a Blacksmith serving on numerous ships. He was serving on HMS Doris in the Dardanelles during WWI. He survived the War and was demobbed from HMS Colossus in 1919. A reputed saddle and harness maker at the time was Robert Baber. He was well known in Ivybridge and operated his business from 8 Fore Street, beside the entrance to the provender mill. To the rear of what is today “The Smithy” public house, Eber Trant had his blackmith’s shop. This was accessed via an archway which remains. Grandpa Kingsland looks on as one of the mill’s horses receives a new shoe. A reputed saddle and harness maker at the time was Robert Baber. 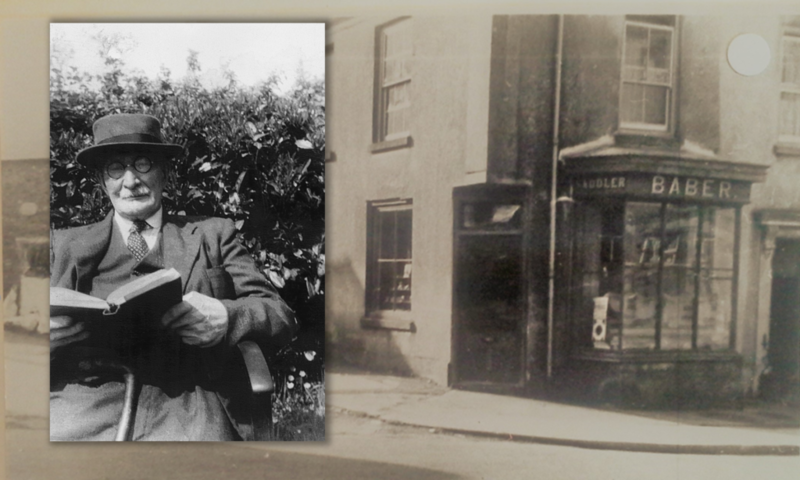 He was well known in Ivybridge and operated his business from 8 Fore Street beside the entrance to the provender mill.